It was a common occurrence in my house last year: Child came home from school and at some point, usually at bedtime, shared the latest drama or mean comment from school or social media. And while I like to think I’ve seen a lot and can handle just about anything my kids throw out, I’ll admit that my usual response teetered more towards the stupefied end of the shocked spectrum, nowhere near my vision of a copacetic response. The truth or faults of the offending parties aside, what really mattered in the moment was the conversation at hand and the most potent influence on that conversation was my response. Enter the concept of “Botox brow.” Michelle Icard, author of Middle School Makeover and an insightful speaker and educator, coined the term to guide parents through just such conversations. As Michelle puts it, children can’t read our faces well and misread our expressions of concern (and perhaps shock and stupefaction) as anger. This derails the conversation from the start. No, you don’t have to go out and get Botox to take this approach, although it might give you a head start. It’s a matter of wiping the furrow from your brow and using an empathetic response. Watch this video, five minutes in to the end, for Michelle’s full explanation. Jumping in to justify the behavior of the offending party rarely works. As Michelle puts it, who wants the other party defended when you’re looking for an affirmation of how you feel? These days, face-to-face conversations make up only part of our communications with our children. I text my children from my office during the afternoon and it’s often an exchange of questions, directions, allowances and facts. Yet we all know that text messages often indicate more emotion than was ever intended, simply by the lack of facial expressions that accompany them. In other words, a simple text can come across as perfunctory, stern or angry in its bareness. Enter the emoji. Kids get emojis. It’s how they add their emotions to bare words. When I started adding one or multiple emojis to my texts, I received happier responses from my children. Sometimes this was in the general mood when I returned home, or a decrease in pestering texts throughout the afternoon. 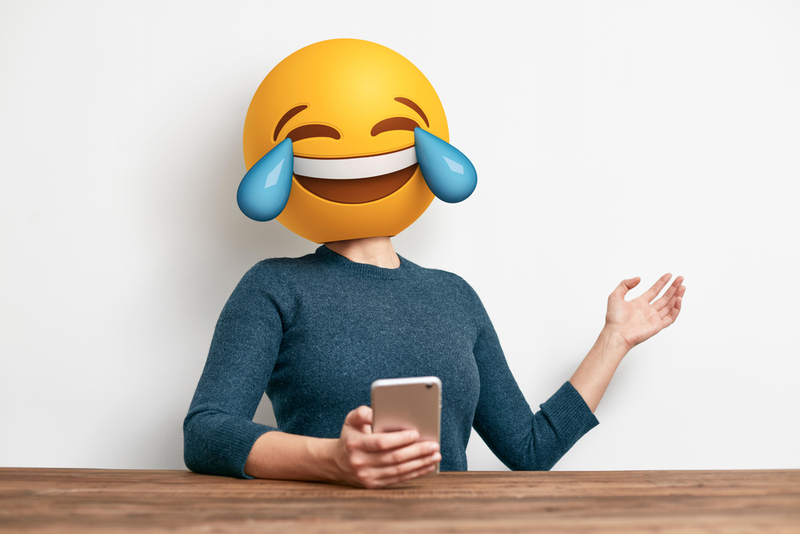 I now think of emojis like the smooth brow: they replace the misinterpretation of negative emotions with the blank slate of empathy – with plenty of room for a wink or a smile.